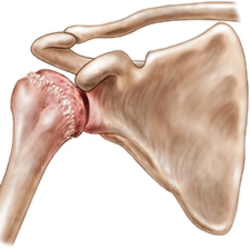 Untreated Arthritis of the Shoulder: What happens over time? Home News	Untreated Arthritis of the Shoulder: What happens over time? Shoulder Arthritis is a common condition, especially in the over-50 age group, and its prevalence only continues to increase as our population ages. As the most flexible and heavily used joint in the body, shoulder pain such as that associated with arthritis can have a huge impact on a patient’s day-to-day activities and quality of life by making even the most simple of tasks painful or impossible. While the pain caused by arthritis of the shoulder is usually at its worst during movement of the shoulder joint, many people may also find it flares up when lying in bed at night, interfering with their regular sleeping pattern. Lack of proper sleep can have a negative impact on mental and physical health, making it all the more important to seek proper treatment. Unlike some other injuries, arthritis will not go away on its own with rest, and some forms of arthritis such as osteoarthritis worsen over time as the cartilage in the joint continues to wear away with use. Not only will the pain get worse with arthritis, but without treatment the mobility of the joint will become reduced, resulting in stiffness and even disability. Because the shoulder is designed to move, and is an integral part of most of the actions we make each day (from sports to driving, and even the basic personal care tasks we take for granted such a brushing hair and teeth), proper treatment is essential to gaining back the strength and mobility required to continue or get back to regular daily activities. It may be tempting for people with arthritis of the shoulder to deal with the pain by taking opioid painkillers, but while it can help in the short term, these only masks the pain while the condition continues to worsen through continued activity, and in the long term can lead to addiction and dependence. When it comes to treating arthritis of the shoulder, the sooner diagnosis is reached and treatment is underway, the better. This is because the more damage is done to the joint, the more serious the intervention may need to be, and this can lead to a longer recovery period. The longer the injury is left untreated, the weaker the muscles surrounding and supporting the joint are likely to become, leading to a longer and more intense rehabilitation to get back to regular strength and movement. The good news is the treatment options available for shoulder arthritis are getting better all the time as surgical techniques and prosthetics used for joint replacement become more sophisticated. While surgery may sound intimidating and many people are put off by the necessary downtime afterwards, if conservative treatments such as icing, rest, anti-inflammatory drugs, or steroid injections don’t work, surgery may be necessary for a meaningful recovery. The type of surgery performed depends on the type and severity of the damage and can range from arthroscopic procedures where the surgeon uses tiny incisions and instruments to repair the damage, to bigger, open shoulder surgeries.